I'm currently writing 3 hyperfictions, one of which I may release in the upcoming weeks. One, based in something that many people praised about Úrquel, the black dragon. Another, I dream with snakes: the videogame, is already written, and I just have to finish the English translation and add some pictures to it, if I decide to add them. The other's called Red planet: the communism that came from outer space. But today I'm not here to bore anyone talking 'bout stuff I can't yet show. I'm here to bore everyone talking about TV series I've been watching, and now it's Lost's turn. Boy I had friends who would've killed just to know what would happen next week, back when the last season was airing. My expectations were high. So high, in fact, I was almost certain the series would disappoint me. And the series disappointed me so hard, you could say, that it didn't disappoint my expectations that the series was gonna… disappoint my expectation… Sorry, where was I? Oh, yeah, Lost. Well, since I'm here talking alone, I'll write about how awful I found it. And as long as no one reads me, no one will get offended. The acting is not particularly good and nothing ever happens on the island. I mean, some things threaten the survivors' safety, but they either resolve in the same episode they appeared, or they never resolve at all. I'm only half-way through the first season, so I don't want to pretend I saw much more than that. I always try to think well, surely the second or third seasons get a little better. But each episode gets worse and worse, and I don't want to wait so much before the series gets interesting. There's not much story to follow, except for the survivors' stories PREVIOUS to the plane crash. 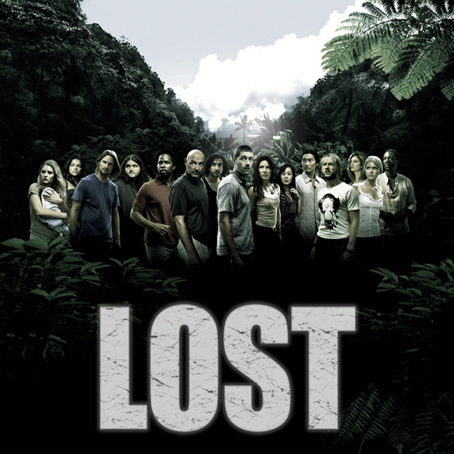 Lost is all about what happens NEXT to the crash, and yet it keeps convincing me that everything that happened BEFORE to each individual character was better as a story than all characters together after the accident. But what I hate the most is the SECRETS. Oh God the secrets! Every conflict people have in this show happens because of all the silly secrets everyone is keeping from everyone. And worse yet, these secrets make no sense at all. No one in their right mind would keep vital information to themselves with absolutely no reason to do so. Keeping secrets is not what feels natural for these characters, it's what feels like the only way the writers can create interesting conflicts to make their characters interact with each other. So there's a recording of a French woman that kinda proves no one will ever come to rescue us? "Let's keep it a secret!" say those who find out. Why? Won't that make some people make dangerous uninformed decisions, like staying on the beach waiting to be rescued, when the sensible choice is to live in a cave? "No, we gotta keep hope alive!" And then a bunch of people decides to stay at the beach and there's conflict. And, at any point, the conflict would simply fade away if someone would dare to be honest about a simple recording. But for some reason everyone keeps thinking "we gotta keep hope alive" is a more reasonable option? Oh, no! You found out there are blood-thirsty polar bears hunting in the jungle? Keep it a secret! It's not like that information could be useful for anyone to decide when and how to venture into the wild, right? One of the survivors has a scary criminal record and you worry that she may endanger the others? Keep it a secret! Whisper vague stuff like "she's dangerous" and "don't trust her," but don't you dare saying the truth so everyone is well informed about the situation. If they ask you to give clear straight answers, just ignore them and until you eventually die.